What does it take for a start-up to transform itself from just another “Israeli start up” to a globally recognized brand? How long will this start-up eco system in Israel continue to experience tremendous growth? How have the most successful start-ups have held true to their initial core values and “start up feel” amongst growth? Last week, the TAMID fellows of Session 2 met with Erez Paperny (Head of R&D operation) at WIX (a public cloud-based web development platform) headquarters and got a glimpse of what aspects of WIX have changed over time, as well as the challenges that lie ahead. 2 minutes… that is how often the WIX platform changes for its over 110 Millions users. How is it possible for a global company to transform its fundamental product 720x a day? According to Erez, rapid change can occur because of WIX’s company structure. From the first day a new employee arrives at WIX in the Tel Aviv port, they are given a specially selected team and a few duties that he/she are entirely accountable for until they leave WIX. Period. Because WIX’s management holds teams of 4-8 members liable for critical product changes, corporate governance rarely prevents WIX from offering its best product at all times. This is a key advantage that WIX enjoys and which few other companies can benefit from. More important than the changes themselves are the people that WIX hires and entrusts to make changes according to their long-term vision. When asked, “What keeps you coming back to work each day at WIX”, Erez simply responded, “the people”. Prior to joining WIX Erez worked for over 15 years at Amdocs (a software services provider) that employs 27000 people. Erez alluded to the fact that the people at WIX possessed talent but, equally important possessed the qualities that would allow them to ultimately fit the culture, company structure, and longer term goals. For example, as a high ranked employee at WIX, Erez faced 8 different interviews before officially joining the team. A company’s financial statements are more than just numbers. Rather, each item on an income statement quantifies the results of a compilation of decisions made by unique individuals and teams within a company. The tone starts and the top, and according to Erez, WIX hopes to continue investing in people who believe in their mission and can produce some more WIX magic. If best practices are truly BEST practices how often should they be shared amongst a company? Once a year? Once a quarter? Once a month? At WIX, a company with 2400 employees, 20% of every employee’s workweek is spent sharing best practices. Whether it is with an immediate team, an adjoining team, or even unrelated team at a different office, WIX puts an emphasis on being at their best at all times. While some might argue this leads to time inefficiencies, consider this perspective: Imagine it’s a Friday and the end of the workweek. Instead of being more focused on leaving the office than actually getting work done on a Friday, why not dedicate this otherwise wasted time to improving long-term efficiency? By continually sharing best practices across a wide population each week at WIX, continuity and working towards a common goal has created larger team presence at WIX. The importance of interdisciplinary teams has never been more important for company that offers a global product. Amazingly, through the use of smaller communal teams and emersion across other departments, WIX has maintained its start-up culture meanwhile developing into a company valued at approximately $5 Billion dollars. 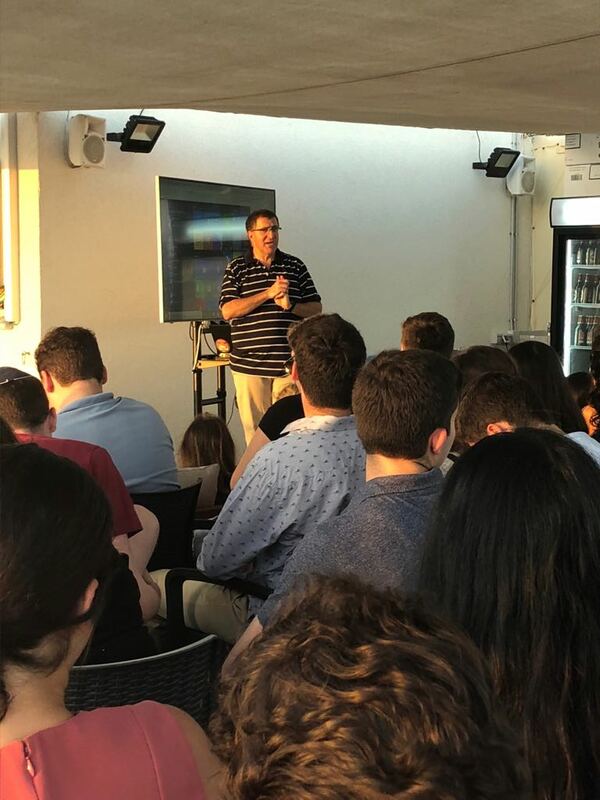 This meeting marked the 3rd summer in a row TAMID Fellows were welcomed at WIX headquarters. We hope to continue learning from one of the best companies in Israel & thank Erez Paperny and all of WIX for continuing this positive educational relationship.